By having "as is" in the contract, the seller washes her hands of any responsibility. You have options when it comes to buying a used car. 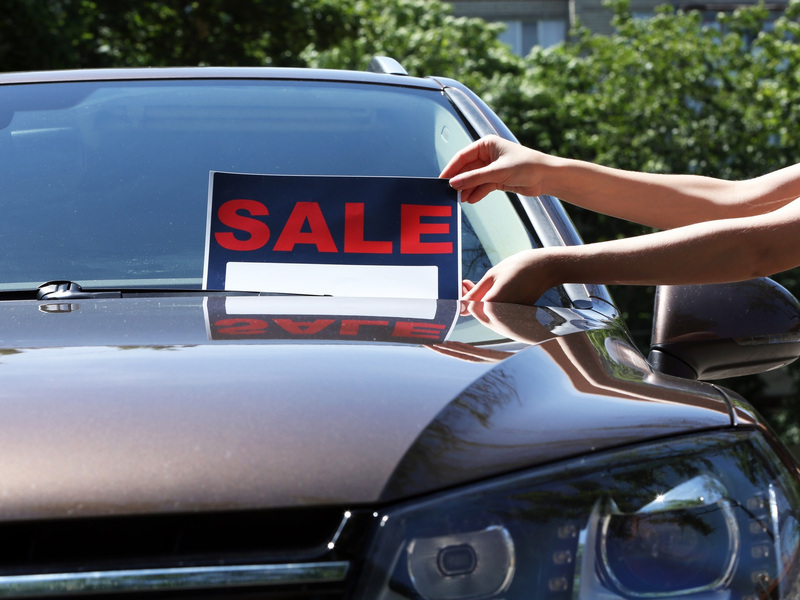 You can purchase a pre-owned vehicle from a dealership, a used car lot, or find a private seller. Each of these comes with pros and cons to consider and you’ll have to weigh factors such as price, convenience, and peace of mind when deciding which route to take. Unless you’re buying a certified used car from a dealership, the car will oftentimes be sold “as is”. So, is it worth the risk? We’ll cover what “as is” really means, what to look out for before buying and whether you’ll have a case if something goes wrong. Having “as is” listed in the contract of your used car is a legally acceptable way for the dealer or private seller to waive all responsibility for any repairs needed after the sale. It doesn’t matter how quickly issues arise or how expensive the repairs are. This rule encompasses all cosmetic and mechanical issues both known and unknown at the time of purchase. When you buy from a private party, you should expect you'll be buying “as is,” but buying from a dealer can go either way. When you visit a dealership, you’ll find used cars that either come with a warranty or are sold “as is”. If you go to a new car dealer, you’ll have the option to purchase a certified pre-owned car which has been through a thorough inspection and is being sold in “like new” condition. You’ll also be getting a warranty that stretches the manufacturer’s coverage for an additional year or two. Other than seeing a few miles on the odometer and a lower price tag, it’s almost like buying new. If you visit a used car lot or a dealership looking for an older used car, you’re most likely going to find cars being sold “as is”. Luckily, you won't have to guess whether or not you’re entitled to a warranty. According to Carfax, the Federal Trade Commission requires dealers to make ‘as is” status obvious in both the Buyer’s Guide sticker and in the contract. Hiding it in the fine print won’t cut it. If you’re buying a car “as is” you can reduce your risk by making sure you check for any warning signs that signal a costly problem. Your first line of defense will be to do extensive research to identify any common problems the vehicle you’re buying exhibits. This way, you’ll have a list of red flags to watch for when going to see the vehicle in person. When you do go to see the car in person, you should make sure you thoroughly inspect it before signing the contract. This includes taking it for a test drive and checking for any unusual noises. Make sure to check for rust, suspicious body damage, and a damaged engine. Before turning the car on, open the hood and look for parts that appear overly worn out, dirty or rusty. Also, check the exhaust system for the same warning signs and steer clear of any car that looks visibility worn out. If you're not mechanically inclined, you should take the vehicle to a mechanic you trust before the purchase and have them check the vehicle out. Although you will have to pay for the inspection up front, you can end up saving yourself a lot of money and headaches down the road. Since selling a car "as is" relieves the seller from the responsibility of covering repairs or refunding the buyer if the car is found to be in bad condition, it is very difficult to make a case against them. According to the Better Business Bureau, some of the most common complaints they receive are from car buyers who purchase a vehicle "as is" and then want to return it. According to the BBB, the buyer will rarely have a case. Proving that the seller lied about the condition of the car is no easy feat. For the amount of time and money that legal action would cost you, it usually won't be worthwhile. To avoid buyer's remorse, be proactive and take advantage of the protections that the Federal Trade Commission offers through the Buyer's Guide. These include knowing whether the vehicle is being sold "as is" or with a warranty, what percentage of the repair costs a dealer will pay under the warrant, a description of the car's major mechanical and electrical systems and any major issues. By doing your due diligence prior to signing off on an "as is" car, you can protect yourself from having to eat the cost of expensive repairs or even the cost of the entire car if it's undrivable. If you're very risk-averse, a certified used car that comes with a warranty will be the best route for you.